How Is a Flat Roof Installed by Professionals? Flat roofs are a popular type of commercial roofing, but they have also seen a surge in popularity among residential property owners. Today, we take a look at how the pros install EPDM roofing, the most popular type of flat roofing used in homes today. Setting up the frame of the roof will define the slope of the roof. Contrary to popular belief, a flat roof is not completely flat. The slope is there to make sure that rainwater still flows down one side of the roof instead of pooling up in the middle. The sheathing consists of a few pieces of plywood that will serve as the base for the rest of the flat roof’s components. Although sheathing made of other materials can also be installed, residential roofing experts will almost always recommend plywood for economical purposes. Like with other types of roofs, the underlayment is an essential part of a flat roof. 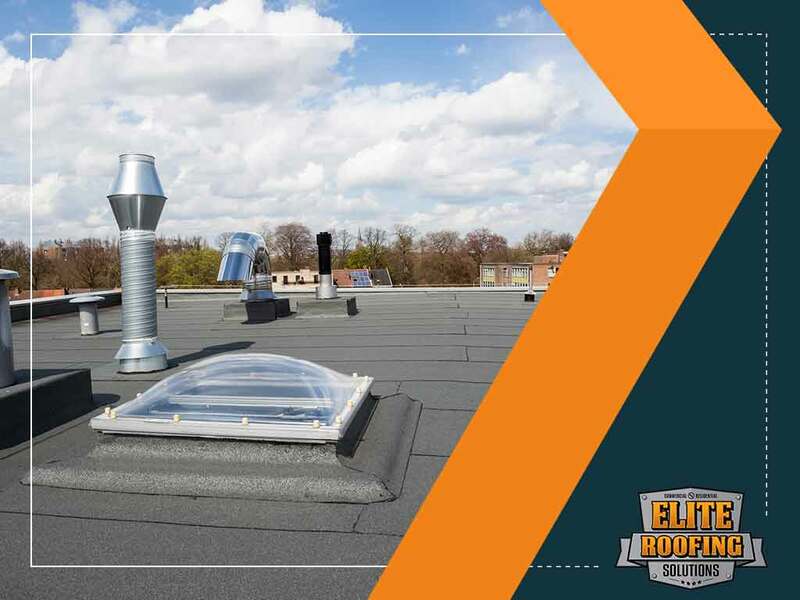 This component serves as a secondary water barrier so that water does not seep through the top layer’s seams and does not reach the frame and other vulnerable parts of the roofing system. The underlayment is usually secured using adhesives and screws. EPDM roofs come in sheets that can be rolled out to create the roof’s top surface. Before being secured to the rest of the roofing system, a roofer will perform a “dry” fit to make sure that there’s enough of the EPDM rolls to form a proper fit for the building. Once properly fitted, the roofing contractor can finally install the EPDM sheets. Depending on the type of sheets used, the rolls may have to be heated at the bottom to activate the adhesive or coated with special glue to keep them in place. Once secured, the roofer will also check for signs of bumps and bubbles to make sure the top surface is as smooth as possible. Get a flat roof for your property with help from our experts. Elite Roofing Solutions is the most trusted roofing contractor in Houston, TX. You can call us at (855) 588-6610 or fill out this online form to request a free quote.